The geometric super cool laser cut pattern on this mens derby shoe elevates it to contemporary shoe. The modern vibe is designer in feel yet subtle enough to wear in many environments like work but most definitely for play. So the black derby sounds like a regular shoe but this lace-up has an original take. The geometric pattern is lasered on and punctuated with micro holes. 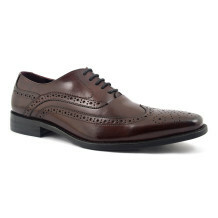 The shape is a lovely beak toe which makes for an elegant looking shoe. Although the derby was originally made for the eponymous named Earl, it still remains the case that the open lace system of this shoe is more flexible than say, an oxford. It was because the Earl of Derby had slightly larger feet than average, that his bootmaker created a new style for easy access. Although originally only worn as a house shoe, the look became country and ultimately became acceptable in the towns and cities. Now formal enough to wear to the workplace, the derby is a versatile shoe. 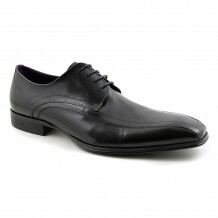 So formal is fine but why not twist up the rule book and go for this funky black derby. It really has an edge to it which is subtle enough to get away with in a formal environment but it has personality at the same time. 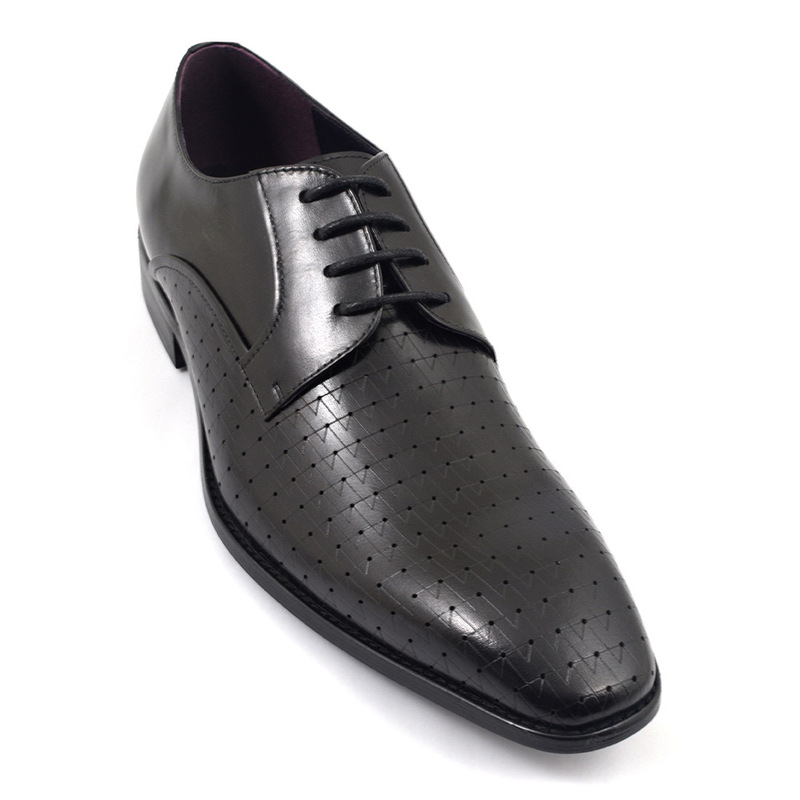 Mens shoes could do with designer touches to stand out a bit and we feel this black derby shoe does just that. Be the first to review “Beso Black Derby” Click here to cancel reply.